Fast forward seventeen years and now I daydream of being a kid again doing little to no chores and stressing about whether Shane B. from the football team really likes me. Cleaning is awful, but we have to do it. Well actually you don’t have to do anything, but when I come to your house and it’s clean, I really do appreciate it! Not to mention a clean house lessons your stress load, and lifts your mood. Think about it. When you leave the house in a hurry and forget to make the bed, clean the dishes and pick up your clothes, what do you come home to at the end of the day? Chaos. And when it’s a bad day, the last thing you need is more chaos! Here are my top tips to lighten the load and make it a breeze to do. This has got to be the best tip I have and if you take my advice on this, you will save an hour. I am about as ADD as they come. I start to pick up and straighten the house and five hours later I have accomplished nothing and started 20 different tasks. Get out the kitchen timer. Write down all the things that need to be done in a weeks time. Break it down into two to three items at 30 minutes tops a day. Knowing that the timer is going will keep you going, and the list will keep you focused. I learned this trick years ago and still use it today. Keep 7 flash cards for all the chores that need to be done in a week for your home. Limit 2-4 chores per card. 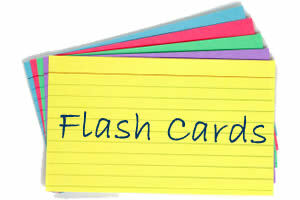 Keep the flash cards in a recipe box, junk drawer or cupboard. Randomly pick out a card each day. Whatever the chores are on the card is what gets done that day. 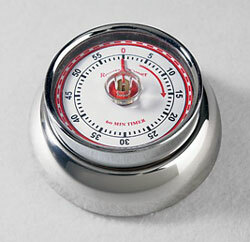 Set your timer (preferably 30 minutes) for the flash card pulled. Once those chores are complete separate that card from the rest of the chores that have not been done for that week. This keeps chores manageable, and not so routine. Sometimes I vacuum on Tuesday’s and sometimes is gets done on Saturday. Keep baskets, or attractive tubs around the house that are labeled or distinctive in some fashion. For example, keep baskets at the top and bottom of stairs, if items need to be taken upstairs they can be thrown into the baskets and hauled upstairs when someone uses them or vice versa. Also, keep baskets or tubs in various rooms for quick clean up. Toys, magazines, and misc items can be quickly thrown into them to organize and straighten up a room until you have time to distribute the items to their original location. Like Vodka, these little guys are multitaskers. They can quickly clean upholstery, lamp shades, headboards and chair cushions at record speeds. They are great at quickly rolling over placemats if you don’t have time to wash them. Invest in the best you can afford because these are perfect for in between cleans. They can quickly pick up crumbs, dust bunnies, little messes and allow you to go longer without the big mammoth vacuum. 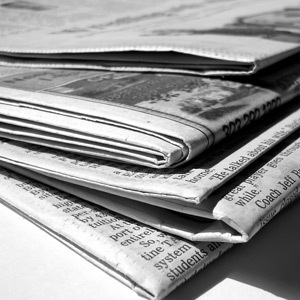 Get out the cheap Vodka and wipe down all your counters and glass surfaces with newspapers. It is the greenest way to clean possible, cheap, and won’t leave streaks! Whatever the Vodka can’t clean the baking soda will take care of. Mixed with water it has the necessary grit to scrub anything clean, but is gentle enough to not harm hands, pets or kids. It is also a green product and wont hurt the environment! Wow, the blog is looking fab!! !